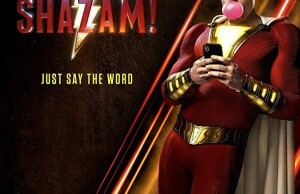 It took long enough, but it’s finally over. Oh, we’re not talking about a complicated or important new law here, or anything that would actually benefit the people. We are obviously talking about the huge, really huge statue of an ancient Chinese warrior. 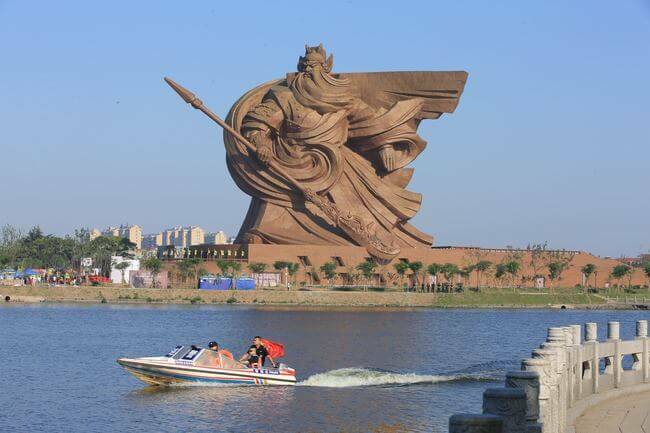 YUP, the Chinese government decided this really big sculpture of Guan Yu in the Hubei Province, Jingzhou city, is the most important thing to complete now. 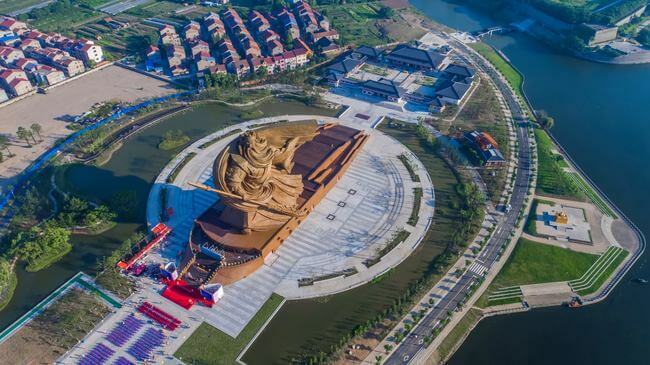 The statue’s presence alone has been enough to welcome many tourists and even people who live nearby to come out and admire its beauty and glory. 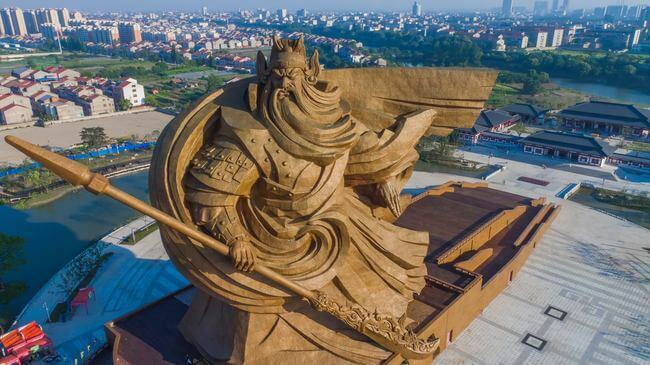 Sina, a local news report explains that the Guan Yu build in Jingzhou Guan Yu Park area was originally planned to be about the idea of righteousness and not something else. But still, right there in the center of the park, stands Yu himself, a whopping 48 meters tall, on a 10 meter tall pedestal. 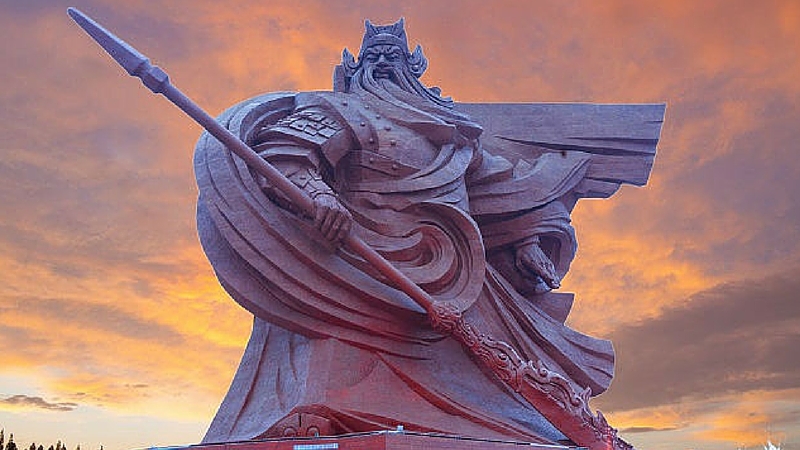 For those unfamiliar with ancient Chinese history, Guan Yu, also know as Lord Guan was a heroic Chinese general from the Three Kingdoms period. 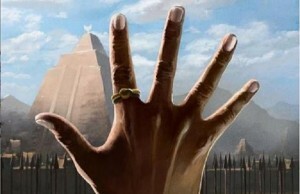 He was immortalized in one of China’s most famous books and turned into a god. Although his physical appearance is lost in historical records, he is remembered as a robust man with a long beard. The huge thing is made from more than 4,000 bronze stripes that cover the entire 1,320 ton sculpture. 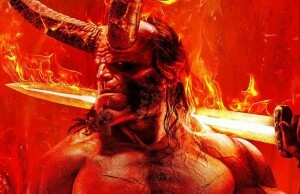 In his right hand Ju holds its famous axe weapon called the “Green Dragon Crescent Blade.” That alone weighs a staggering 136 tons, as reported by news organization CCTV News. The statue was built to resemble an retro warship. 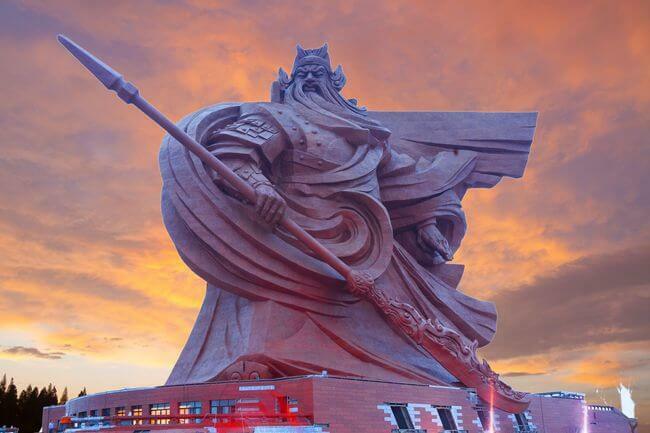 Standing tall and symbolising pride on his ship of war, Guan Yu is portrayed as an epic warrior, who is ready to take on anyone and the entire world to protect the land. 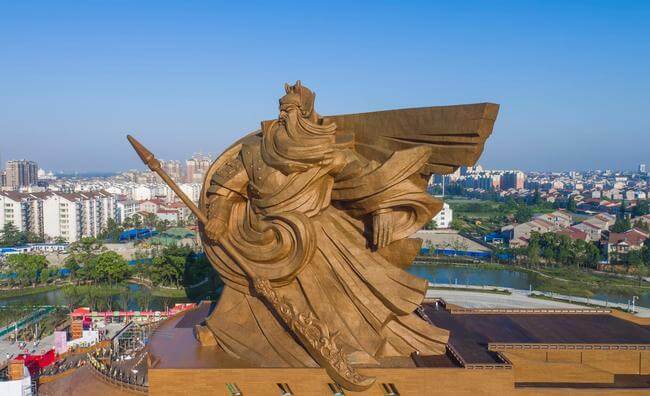 Soon, tourists can trek up the staircase and into the pedestal to visit and explore the 8,000 square meter Guan Yu build Museum inside. ← Previous Story Throwback Alert! If You Kept Any Of These 10 Vintage Toys, You’re Going To Be Rich!